ʻO ke alelo ka hoe uli o ka ʻōlelo a ka waha. The tongue is the steering paddle of the words uttered by the mouth. Advice to heed the tongue lest it speak words that offend. Let’s talk about . . . language! Language is the foundation of much of what makes a culture or a people unique. Some scientists even argue that our thinking processes would not develop correctly without language. While there is still debate about the role language plays in our mental development, there is no escaping the fact that language is one of the main pillars of what makes us “us.” We describe our world through language; we build connections to each other through language; we describe how to carry out cultural practices through language; we pass our stories down through language. And not just any language, but our particular language. A French-speaker understands the world through a French-language lens; a Japanese-speaker understands the world through a Japanese-language lens; and so on. This is because the way we understand the world is filtered through the vocabulary of our language and the linguistic and grammatical rules that determine how we can talk about things. That’s why it’s so important to learn as many new words as you can and know how to use them! Language helps us see and interact with the world, and these interactions are largely guided and framed by the particular language that we speak. Here is an example of how precious our language is to us: throughout the second half of the nineteenth century, Hawaiians were worried about losing their language and wrote passionate pleas in the Hawaiian-language newspapers to keep the language alive, and many of them said that if we lost our language, we would lose our Hawaiian-ness itself. For Hawaiians, genealogy is important, so let’s trace the genealogy of ʻōlelo Hawaiʻi, the Hawaiian language. Languages are grouped together into families, with each of the languages in the family having certain shared qualities. As you get farther along the branches, the languages become more and more similar. 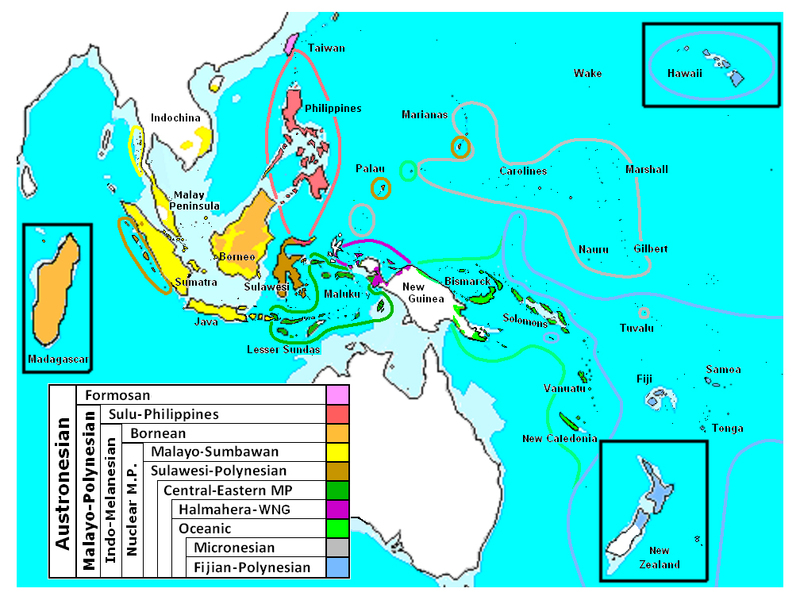 Hawaiian is in the Austronesian language family, and then if we follow the branches of ʻōlelo Hawaiʻi’s family tree, it branches into the Malayo-Polynesian subgroup, then Central-Eastern Malayo-Polynesian, then Eastern Malayo-Polynesian, then Oceanic, then Nuclear Polynesian, then Eastern Polynesian. From there, some linguists say it further branches into Marquesic. One of the things that the branches of the language family tree show is how the speakers of the Austronesian language family continued to migrate across the sea and settled the many islands of the Pacific Ocean. Over time, the different groups of people changed as they settled in their new homes, and their languages changed as well. Each language became different and reflected the people and the surroundings, the island environments in which they lived. ʻŌlelo Hawaiʻi became unique because of the people that spoke it as well as the place in which it evolved—right here in Hawaiʻi! Although Hawaiian is a unique language and one that Hawaiians are proud to call their own, it is also still a Polynesian language, meaning that it shares a lot of traits with other Polynesian languages. For example, nearly all of them have the vowels a, e, i, o, and u. A certain type of word, called a cognate, can be seen across Polynesian languages as well. Cognates are words from different, but related, languages that share the same root. A good example is the Hawaiian word for person: “kanaka.” In Māori, Tongan, and Rapa Nui, it is tangata; in Samoan and Tuvaluan, it is tagata; in Tahitian, it is taʻata; in Fijian, tamata; and these are just a handful of examples. There are also at least 47 languages that use the word “lima” for the numeral five, and that’s not counting the languages that use variations of it, such as rima. These connections can even be seen in the names of places in Polynesia. Try to guess what the following place name would be here. In Rarotonga, the place name is ‘Avaiki; in Sāmoa, it is Savaiʻi; in Aotearoa/New Zealand, it is Hawaiki, and in Tahiti, it’s Havai‘i. So can you guess what the name would be in Hawaiian? Yeah, it’s a pretty easy one: Hawaiʻi. Even though the number of schools teaching in Hawaiian was almost at its lowest point in 1896, that was the year that had the most Hawaiian-language newspapers being published at the same time: twelve! Here are some of the basic characteristics of ʻōlelo Hawaiʻi, the Hawaiian language. In its current form, it is made up of eight consonants (h, k, l, m, n, p, w, ʻ) and five vowels (a, e, i, o, u), though Hawaiians of the nineteenth and early twentieth century would also use letters like b, d, f, s, v, and others in Hawaiianized foreign words, such as Kalefoni (California), dālā (dollar), sivila (civil), and bipi (beef/cow). Two easy rules to remember for Hawaiian are that each consonant must be followed by a vowel, meaning that two consonants cannot appear together, and that words can never end in a consonant. Also, adjectives appear after the noun that they are describing, unlike in English; so for example, in English, a car that is the color red would be a “red car,” but in Hawaiian, it would be a kaʻa ʻulaʻula, or “car red.” This is another example of how language influences worldview. For an English speaker, it is more important that the car is red, as evidenced by its placement earlier in the sentence. For the Hawaiian speaker, it is not necessarily the description (red) that is important, but the thing itself. The role that ʻōlelo Hawaiʻi played in the daily life of kānaka Hawaiʻi was huge. One of the most well-used ʻōlelo noʻeau, or proverbs, is “i ka ʻōlelo nō ke ola, i ka ʻōlelo nō ka make” (in language there is life, in language there is death). This proverb has many meanings and points to the importance of ʻōlelo Hawaiʻi, but for now we will just talk about two. The first is that all the things in a Hawaiian’s world from birth to death and beyond are explained and described in language. Kānaka Hawaiʻi described every facet and detail of their world using their ʻōlelo, from the bits of crustacean shell and bone found outside of an octopus’s burrow (ʻāhilu) to a narrow channel running to a tide pool (ʻāmio) to the chill that you get from being in a particular kind of wind (huehu). The second way to understand that ʻōlelo noʻeau above is that language is so powerful that it can bring life or death to people if used in certain ways. Mele, oli, and prayers were a part of almost every activity that a kanaka might have taken part in during the course of a day, from fishing, to making kapa, to eating. Certain words were off-limits in these mele, as they could have a powerful and perhaps unintended effect on the ceremony or the people involved. There was even a well-regarded method of healing known as lāʻau kāhea (the calling medicine) that relied mainly on words to heal such things as broken bones. Where the heck is Owhyhee? 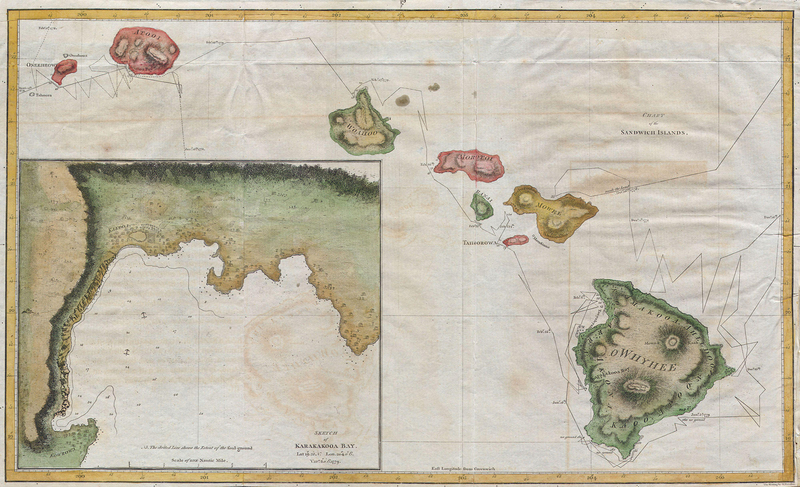 When Captain James Cook and other European explorers happened upon Hawaiʻi in the late eighteenth century, they collected information about all the sorts of things that were unknown to them in the islands. They recorded biological, botanical, and geological information in their journals and logs, and some of the information that people were interested in was what the voyagers could cobble together about Pacific languages. But when Cook and later voyagers arrived in Hawaiʻi, even though some of them had other Pacific Islanders with them who could serve as translators, they themselves couldn’t speak Hawaiian, so when they recorded Hawaiian words and phrases in their journals, they had to go with what they heard. So instead of hearing “ʻo Hawaiʻi” (the name Hawaiʻi with a proper noun marker in front of it), they heard “Owhyhee,” and that’s how Hawaiʻi was spelled for several decades. In fact, for almost forty years, the names of certain Hawaiian islands were written by foreigners as “Owhyhee” (Hawaiʻi), Atooi (Kauaʻi), Oneeheow (Niʻihau), Woahoo (Oʻahu). The proper names of Hawaiian people were spelled differently sometimes as well, depending on how it was heard. Kamehameha, for example, was spelled Tamaama, Tameamea, or Tamahamaha, with many other variations. It wasn’t until ʻōlelo Hawaiʻi was formalized through the efforts of kānaka Hawaiʻi and the missionaries who arrived in 1819 that Hawaiian spelling became more systematic and regularized. Heneri ʻŌpūkahaʻia, who traveled to the continental United States just after the turn of the nineteenth century, served as the inspiration for the missionaries to come to Hawaiʻi. He was also the reason they opened the foreign mission school at Cornwall, Connecticut, to train indigenous people and people from other countries on how to preach in their own places. He wasn’t a passive part of this process though. He taught the missionaries some Hawaiian, worked on a grammar of ʻōlelo Hawaiʻi, and translated parts of the Bible into Hawaiian. He was a crucial part of the missionaries’ plans for what they called the Sandwich Islands Mission, but he died of typhoid fever before he could return to Hawaiʻi. The missionaries had had some lessons in Hawaiian from students at the foreign mission school, some of whom ended up accompanying them, but when they got to Hawaiʻi, they still had a lot to learn. The aliʻi weren’t sure if they should allow the missionaries to set up a mission in Hawaiʻi, but ended up allowing them to stay in the end. It was quite some time before a few of the missionaries were able to preach directly in Hawaiian, but they got help learning ʻōlelo Hawaiʻi from a lot of very well-educated Hawaiians. As the missionaries’ language abilities increased, they were able to work more on formalizing the Hawaiian alphabet. This formalizing meant that they were trying to figure out how best to represent the sounds of spoken Hawaiian as a written alphabet. They had a lot of help in this from the best Hawaiian scholars and from missionaries who had worked in Aotearoa/New Zealand and Tahiti. One of the problems the missionaries here faced was that the range of acceptable pronunciations for consonants was wider in Hawaiian than English. For example, for the word that we write now as “hulahula,” which means to dance, acceptable pronunciations included “hulahula,” “hurahura,” and “hudahuda.” Hawaiians heard no differences in those pronunciations, but it was important for the missionaries to try to narrow down the range of sounds they represented in the alphabet to make it easier for people trying to learn literacy in Hawaiian. 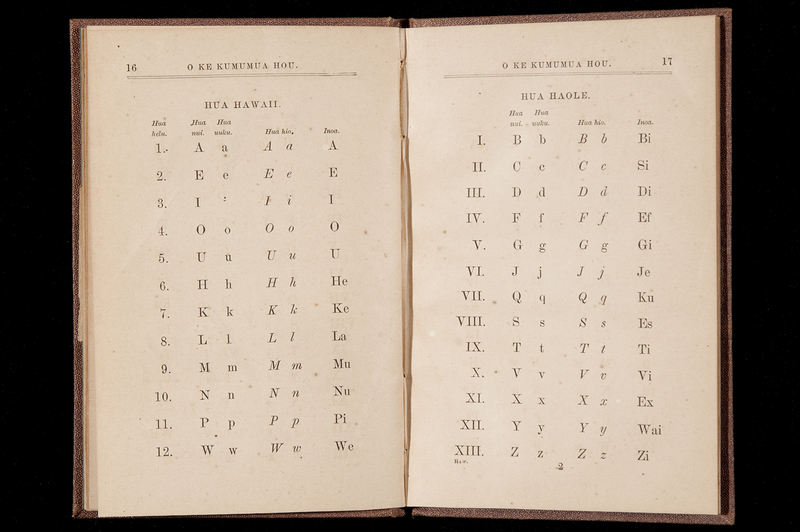 In 1826, the missionaries completed the formalization of the alphabet, cementing the Hawaiian alphabet in the general form that we recognize today. 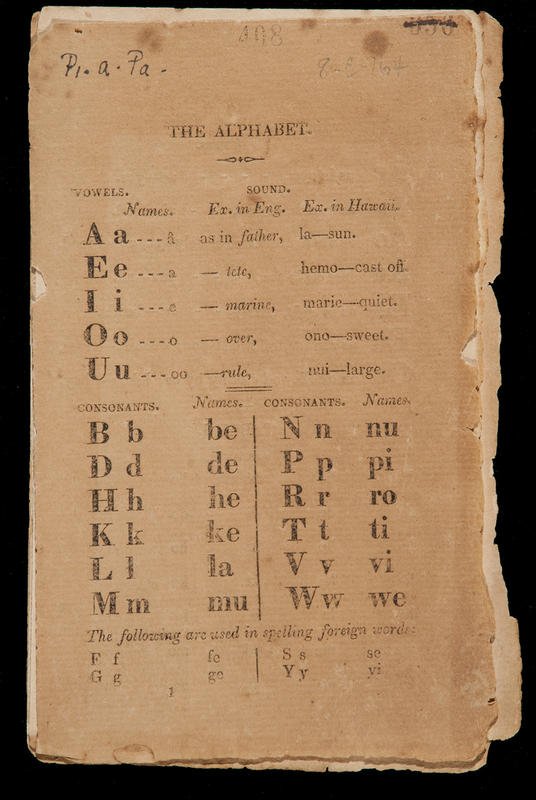 Though efforts to teach alphabetic literacy to Hawaiians had begun much earlier, systematic Western-style education really took off after the formalization of the alphabet. Hawaiians took up alphabetic literacy whole-heartedly and within a few decades became one of the most literate nations in the world, surpassing many places in the United States at the time. Hawaiians took to writing in unprecedented ways. 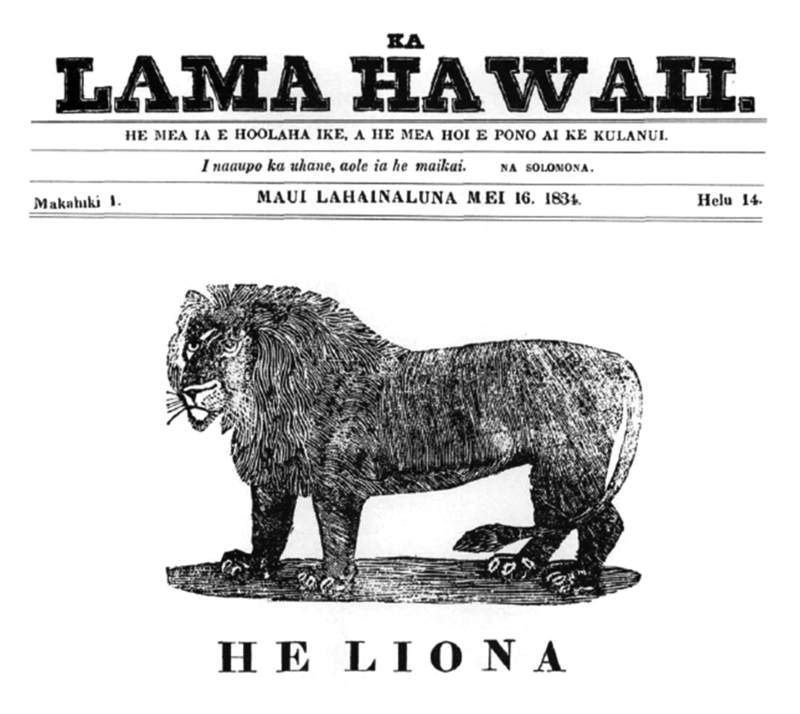 The first Hawaiian-language newspaper, Ka Lama Hawaii, was published in 1834, and there were over a hundred Hawaiian-language newspapers published from then until the last paper, Ka Hoku o Hawaii, closed down in 1948. These newspapers published everything from advertisements to birth and death notices to editorials to mele to news articles to Hawaiian and foreign stories. The material in the newspapers is the equivalent of at least one million 8 ½ x 11” pages of text, making it one of the largest indigenous-language archives in the world. 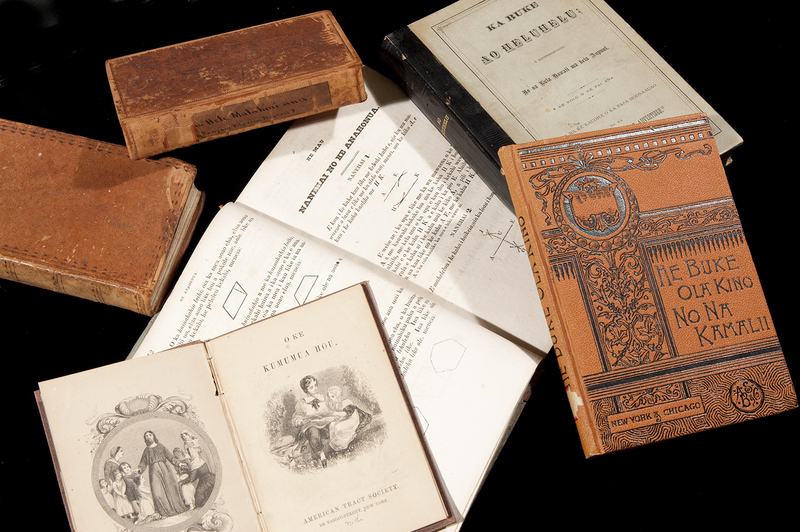 Hawaiians also wrote and published books, songs, plays, and operas, all in Hawaiian! The missionaries had many different ideas about how to best represent spoken Hawaiian with their alphabet, and some even involved using numbers. The numbers corresponded to different ways to pronounce vowel sounds, so the name ʻŌpūkahaʻia was written as Op8k3h3ia. Can you figure out how the numbers worked? While the literacy rates for Hawaiians were skyrocketing, newspaper articles began to appear around the 1850s talking about how the quality of Hawaiian language was declining and that Hawaiians were going to lose their language if they didn’t change what was going on. Learning English was increasingly presented as the way for Hawaiians to make it in the “modern” world by the missionaries, visiting foreign traders and explorers, and even some aliʻi, so English-language teaching got more and more funding and support from the government. This created a divide between the schools that were taught mainly in Hawaiian and the schools that were taught mainly in English. More resources and prestige were given to the English-language schools, and more and more Hawaiian parents wished to send their kids to those schools so that their kids could “make it.” As time went on, the number of schools teaching in Hawaiian declined from several hundred at mid-century to only two in 1896. By this time, more and more pleas to save ʻōlelo Hawaiʻi were seen in the Hawaiian-language newspapers. In 1896, the Republic of Hawaii passed Act 57, which required that any school that received government funding needed to teach in English. Hawaiian could still be taught, but it had to be taught in a manner similar to how French or Spanish might be taught, as a foreign language, and just one subject among many. By this point, many Hawaiians were so convinced of the necessity of English that they punished children for speaking Hawaiian at school and teachers would even visit parents to tell them that they were holding their children back by speaking to them in Hawaiian. The idea that there was no place for ʻōlelo Hawaiʻi, or even Hawaiian cultural values, in a modern Hawaiʻi would continue to be powerful, bolstered by Hawaiʻi’s forced inclusion in the United States and strengthened by things like the “Speak American” movement that swept through the country in the 1940s, calling for all Americans to stop speaking any other language than English. Even though there were numerous attempts to revitalize ʻōlelo Hawaiʻi after the passage of Act 57, it would not be overturned for almost another one hundred years. Even though so many decades passed before Act 57 was repealed, kānaka Hawaiʻi fought to keep their language alive despite all the pressure to assimilate. In 1919, community efforts got a law passed that required Hawaiian to be taught as a “foreign” language in all public high schools. Another law was passed requiring daily Hawaiian-language instruction at all elementary schools serving communities with a high percentage of people from Hawaiian Homestead areas. These laws were not well-enforced, so the addition of these courses did not have the effect the community had hoped for. A few years later, Hawaiian was taught at the University of Hawaiʻi as well. These courses did not seem to have immediate effects, but laid the groundwork for what would come a handful of decades later. 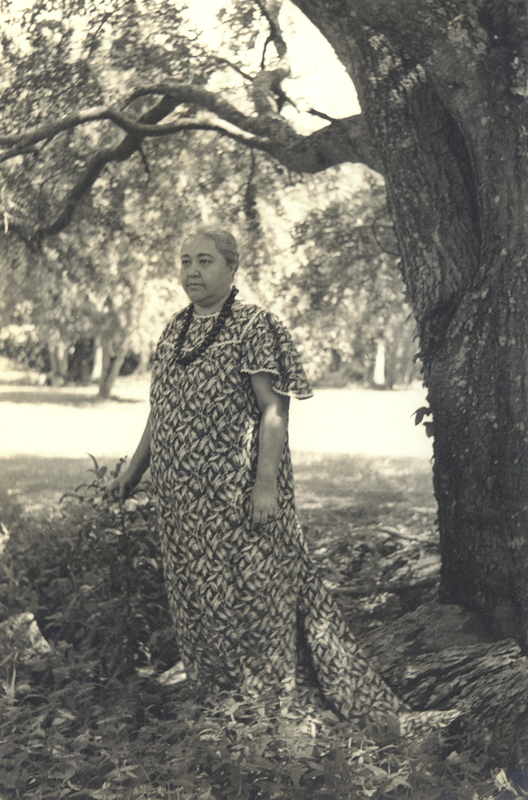 Over the next few decades, Mary Kawena Pukui came to the fore as the major Hawaiian scholar of her time and carried out invaluable work translating, documenting, and interpreting Hawaiian language, history, and culture through her work at the Bishop Museum and with foreign scholars such as Martha Beckwith, Samuel Elbert, and others. The Hawaiian dictionary that she worked on with Elbert is arguably the most important book in the Hawaiian-language revitalization movement, as it set the foundation for so much of what came after it. Throughout the 1960s and ʻ70s, the various efforts that Hawaiians had been carrying out separately coalesced in a movement that came to be known as the Hawaiian Renaissance. It was a combination of struggles for land and water rights, fights for civil rights, and a resurgence of interest in Hawaiian culture, language, and music. On the language side, in 1961, after teaching music for 30 years at UH-Mānoa, Professor Dorothy Kahananui was hired to teach Hawaiian as a foreign language at the Kamehameha Schools, and she inspired a new generation of language learners who would go on to become influential members of the language revitalization movement. Over the next two decades, many of the students and teachers taught by Ms. Kahananui organized, lobbied, and protested. They called for increases in Hawaiian-language offerings at the college level and fight to establish degree programs in Hawaiian Language and Hawaiian Studies. They even formed groups dedicated to the perpetuation of the Hawaiian language and the creation of resources for language learners. In 1978, their efforts lead to Hawaiian being recognized as an official language of the State of Hawaiʻi, though that distinction has mostly been symbolic. The first Pūnana Leo preschool, where everything is taught in Hawaiian, opened in 1984 on Kauaʻi. Many legal hurdles stood in the way of reestablishing Hawaiian as a language of instruction in the state, so a law striking down Act 57, the earlier law that decreed that English had to be the language of instruction for all government schools, was not passed until 1986. But once the way was cleared, the first elementary school classes to be taught in Hawaiian since the kingdom era began the next year. As time moved on, more schools opened up, and more grade levels were taught until 1999, when the first students educated in Hawaiian from kindergarten through high school graduated. Only three years later, the first Master’s degree in Hawaiian Language and Literature was awarded to Hiapo Perreira through UH-Hilo, the first graduate degree in any indigenous language in the United States. In 2007, UH-Hilo started offering a PhD in Hawaiian and Indigenous Language and Culture Revitalization, meaning that it is now possible to go from preschool all the way through your PhD and have it taught all in Hawaiian! The changes that have taken place in less than thirty years since the first immersion school opened are just amazing! Where can you find ʻōlelo Hawaiʻi now? As you might expect, the language revitalization movement has not just been limited to schools. You can find ʻōlelo Hawaiʻi all around you nowadays. People speak it to their children at the beach, you can read it in the newspaper and magazines, you can hear it on the news, you can even see it on the ATM when you’re getting money out. There are radio shows all in Hawaiian, stage plays with the dialogue and stage directions in Hawaiian, and even a TV station that has hundreds of segments available ma ka ʻōlelo Hawaiʻi. We have new generations of people composing music, making films, creating art, writing computer programs, and just living their lives, all in Hawaiian, just as in the kingdom era. As we have read, Hawaiians and our culture faced some difficult times and ʻōlelo Hawaiʻi nearly died. But through the efforts of thousands of dedicated people, our language grows strong again. The work is not over yet though. Despite all that our kūpuna, mākua, and kumu have done over the last several decades and the high visibility of the Hawaiian language, no more than two percent of our state’s population speaks Hawaiian, and many people still doubt the need for Hawaiian. If we truly want our language to survive, these things have to change. There is a saying in Hawaiian, “huli ka lima i lalo, ola; huli ka lima i luna, make.” It means that if we turn our hands down, as we do when we are working the land, then we will thrive, but if we turn our hands up, as we do when we are asking for something, we will die. So even though things are much better with the language than they have been in the past, we cannot wait around for other people to fulfill our kuleana, we must continue to turn our hands down to the earth to work.